In 2015, FAB Group NZ was already a market leader in the skincare industry in New Zealand with 30 clinics nationwide. For many businesses, reaching this stage would be considered the pinnacle of success. However, FAB Group NZ had a bigger vision to further expand into the international market. So they joined the online Scaling Up Master Business Course in 2015 and successfully achieved their goal after implementing what they learned. What’s interesting is, two years later in 2017, they joined the course again, only this time with an even bigger team and new objectives to scale even further. We arranged a chat with Glenice Riley, Global COO of FAB Group, to find out their experience with Scaling Up and why their leadership team decided to join the program again. I wanted to share the transcript from the interview between Daniel Marcos and Glenice Riley so you can see that no matter what stage of business you’re at, it is possible to continually scale up your business when you have the right methodology. Daniel Marcos: Tell me a little bit about your business. Glenice Riley: Our business started in New Zealand, originally over 20 years ago. We've really scaled, though. Particularly in the last five to six years where we've experienced compounding year-on-year growth of 15% plus. Our business is a franchise business in New Zealand. We have 50 clinics in New Zealand, and we are the market leader. We operate in the business of skin care and appearance medicine. We basically provide three things: laser hair removal, skin rejuvenation, and aesthetic or cosmetic medicine — non-surgical. We offer that with our very simple membership model that makes it accessible to men and women. Daniel: Where was your business before you took the Scaling Up Master Business Course? Can you give us some idea of what was happening before? Glenice: Before we did the Scaling Up Master Class for the first time, in 2015, we had around 30 clinics. We've grown significantly since that time, in terms of the number of our clinics. We've been very clear about what it's going to take for our business to become globally scalable and take it to the next level. We were already market leaders in New Zealand, but we wanted to scale our business further in New Zealand as a foundation for going international. Daniel: Why did you choose the Scaling Up Master Business Course? Glenice: We chose that because we had attended a number of Growth forums, both in Australia and New Zealand. Some members of our senior management team had attended those for a number of years prior to this, and they really wanted to share that learning with the entire team to take the whole team on the journey of what it would take to scale the business to the next level. Nine of us from the senior management and leadership team completed the course in 2015. Those people's role was to create alignment across the business as a whole, and take those teachings to their teams within the business. The effects of it actually went throughout the organization. We still use a lot of the rhythms that we've developed as part of taking on the Rockefeller Habits, and bringing those to life in the organization. In 2015, it also gave us a real clarity about things like our core values, our core purpose, and what we were really aiming to do. It gave us great alignment across the organization as a whole, right from support office level through to our clinic team members. When we launched those core values for the first time in our history, the impact actually went from top to bottom and everywhere in between in the organization. It was incredibly aligning. Daniel: Where is your business now, and what were the key takeaways you took from the class? Glenice: I guess at the business now, we've expanded to 50 clinics in New Zealand and we've actually just opened our first clinic in the UK. We're now in two countries. We've also continued to grow our existing businesses and have really scaled our franchise openings. We're opening 13 clinics this year, which will be an increase of 25% in our clinic numbers. Our clinics now have a market penetration of 40% of the Botox market in New Zealand. There's been a number of things that we've taken out of it. One will be, as I said before, being really aligned in what you're trying to do and focusing on a few things to help you get there. The key takeaway there is being really clear about what we need to do to help us get to where we want to be. This includes the framework of our core values and our core purpose, and our vision, or why we are here. Is what we're doing going to bring us closer to these things? It actually empowers people throughout the organization to make a judgment call about things that come up every day. Daniel: You took the course in 2015, and now you're taking it again in 2017. Both times you were here with a team. It was nine the first time, and now 13. What's been the experience of taking it with your group, and why did you take it with your group? Glenice: We took it with a group the first time in 2015 so we could make sure that everyone was on the same page. It's a massive process and we worked through it together. We actually got everyone's buy-in by doing it. Everybody took ownership of that process and the plan which came out of it. Each person took ownership of bringing it to life within the organization. We've had significant growth since then, and we're now in two markets as well as looking at how we move from a New Zealand-based company to a global business. It's appropriate that we do the course again because we have to make another stick change in the business. That's why we're doing it with a bigger team this time. Those that have done the course previously will also be working with that team. Although it's their team, it's actually a larger part of the organization that is involved in that process of working through and revisiting those values and our purpose, because our organization and our business has changed. We need to make another stick change. Daniel: Any final statements or recommendations for anyone considering taking the Scaling Up Master Business Course Online? Glenice: I would say it's a very small investment for a big result. You can certainly do the the online course as an individual. But for us, coming in from New Zealand, the online classes are perfect for us because we don't have to travel and so we can have more people in the organization to be involved in the online classes. Doing an online class where you're learning yourself and extending yourself is valuable, but then you're able to bring it into a forum where you can actually put a plan together as a team. That component is invaluable alongside the online class. I think when you do it as a team, you actually get exponentially more out of the process than if you did it on your own and then tried to execute it with your team. Daniel: Glenice, thank you very, very much for your time, and congratulations for being so disciplined at implementing. That’s what makes a big difference. 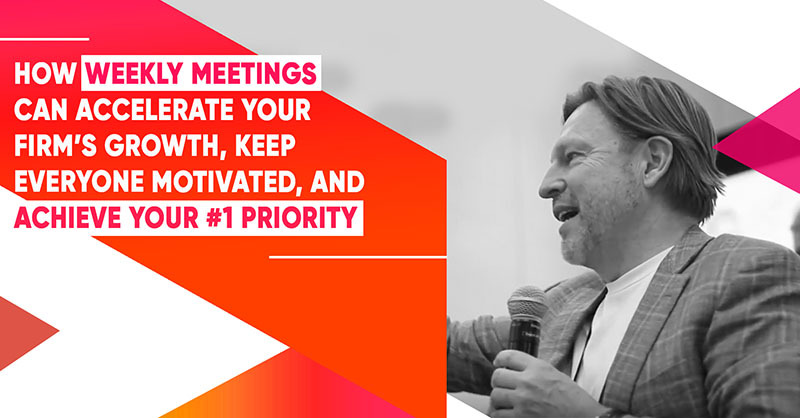 Scaling Up Master Business Course 2.0 is a result of collaboration between Verne Harnish and Growth Institute. 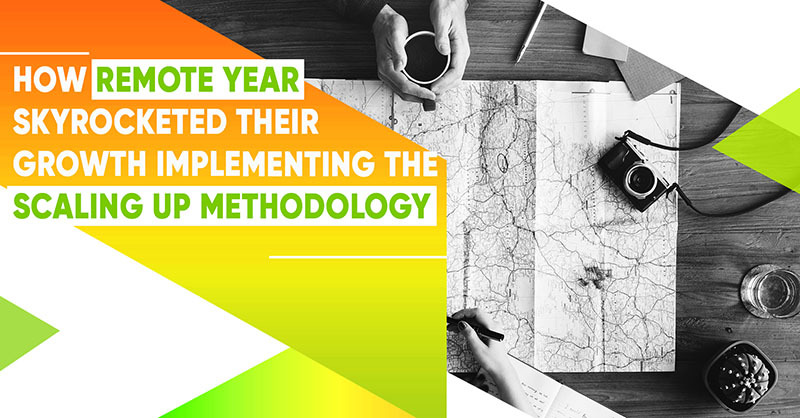 It was designed to help you effectively implement the famous Scaling Up methodology step by step under the guidance of Verne Harnish & Scale Up Coaches and with support of a mastermind circle. If you would like more details about the Scaling Up Master Business Course 2.0, and to be notified of when registration for the next cohort opens, enter your details here. 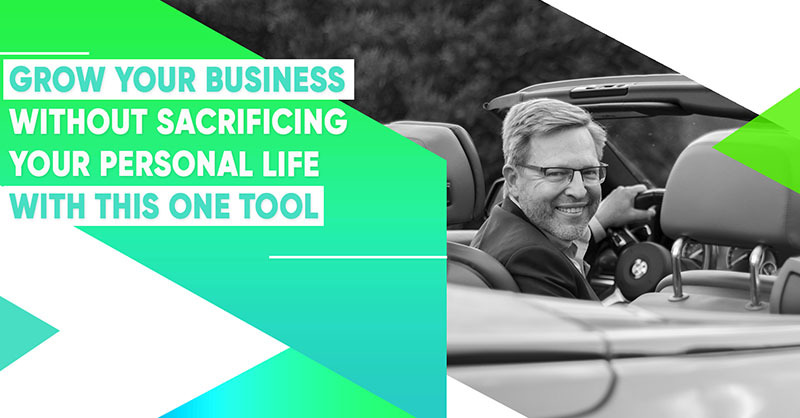 Verne Harnish is founder of the world-renowned Entrepreneurs' Organization (EO) and chaired for fifteen years EO's premiere CEO program, the "Birthing of Giants" and WEO's "Advanced Business" executive program both held at MIT. 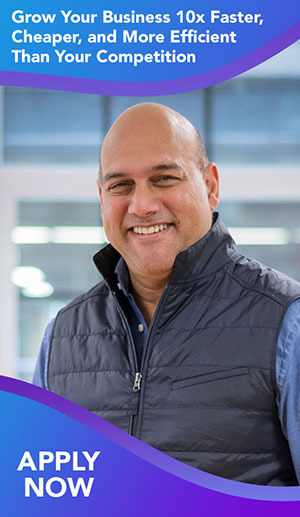 Founder and CEO of Gazelles, a global executive education and coaching company with over 150 coaching partners on six continents, Verne has spent the past three decades helping companies scale-up. The "Growth Guy" syndicated columnist, he's also the Venture columnist for FORTUNE magazine. He’s the author of Scaling Up (Rockefeller Habits 2.0); Mastering the Rockefeller Habits; and along with the editors of Fortune, authored "The Greatest Business Decisions of All Times", for which Jim Collins wrote the foreword. Verne also chairs FORTUNE Magazine's annual Leadership and Growth Summits and serves on several boards including chairman of The Riordan Clinic and the newly launched Geoversity. 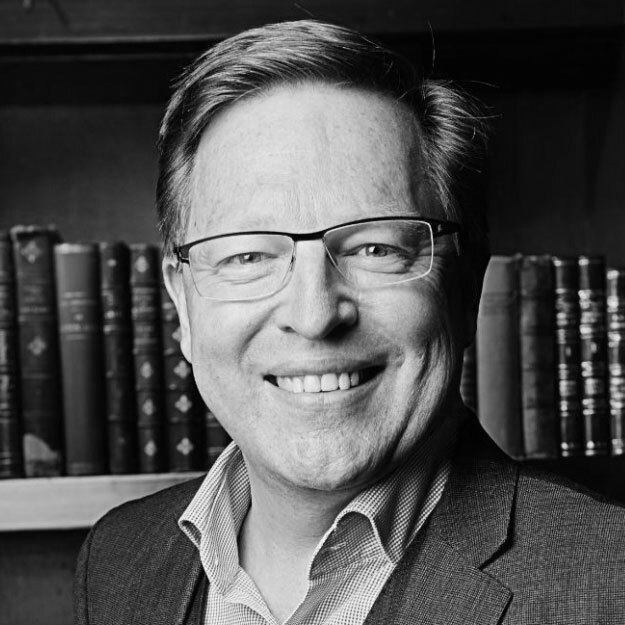 Nombrado por la revista FORTUNE Small Business como uno de los “Top 10 Minds in Small Business”, empresario, autor y columnista de la revista FORTUNE, Verne Harnish, es un consultor de gestión muy buscado, especializada en liderazgo, planificación estratégica y el crecimiento del negocio. Su libro, “Dominando los Hábitos de Rockefeller: qué debe hacer para acrecentar el valor de su empresa en rápido crecimiento” ha sido traducido al español, chino, japonés y coreano. Verne es también el fundador de EO, la Organización de Empresarios (http://www.eonetwork.org), y el CEO de Gazelles Inc.